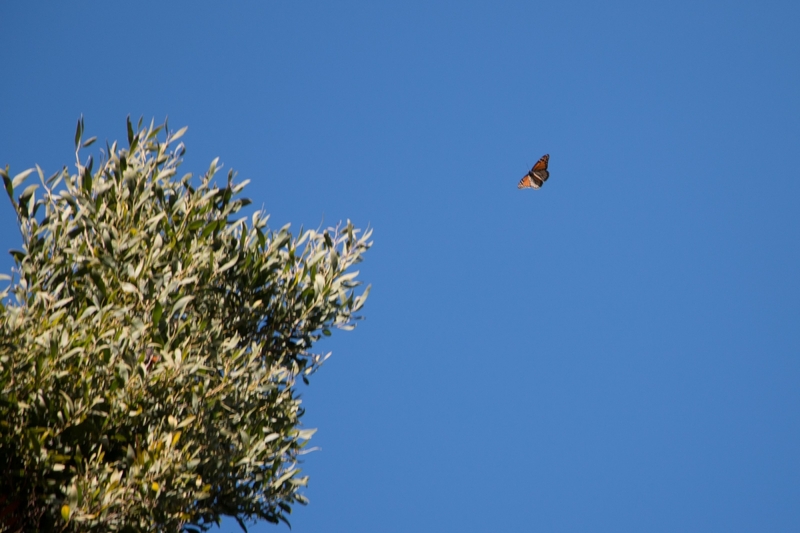 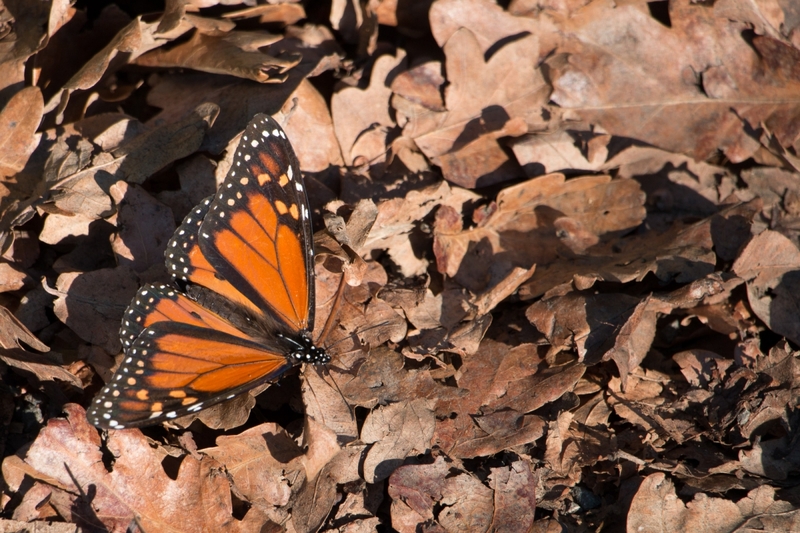 In the USA the Monarch butterfly populations are very mobile – wintering in Mexico, but traveling the length of the continent almost to breed in Canada and the northern tier of US states before flying back to Mexico. 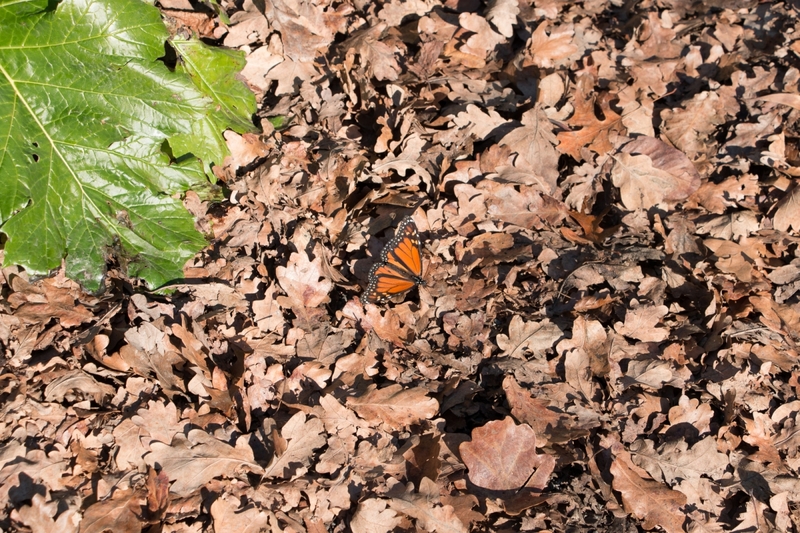 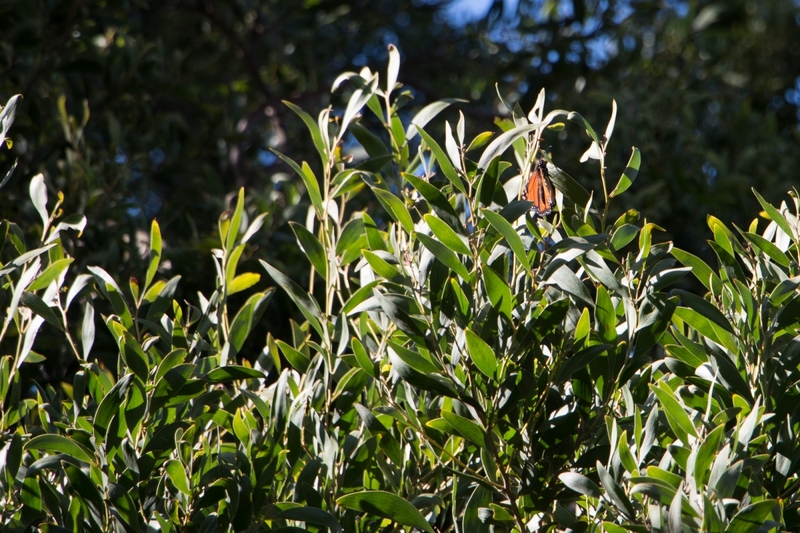 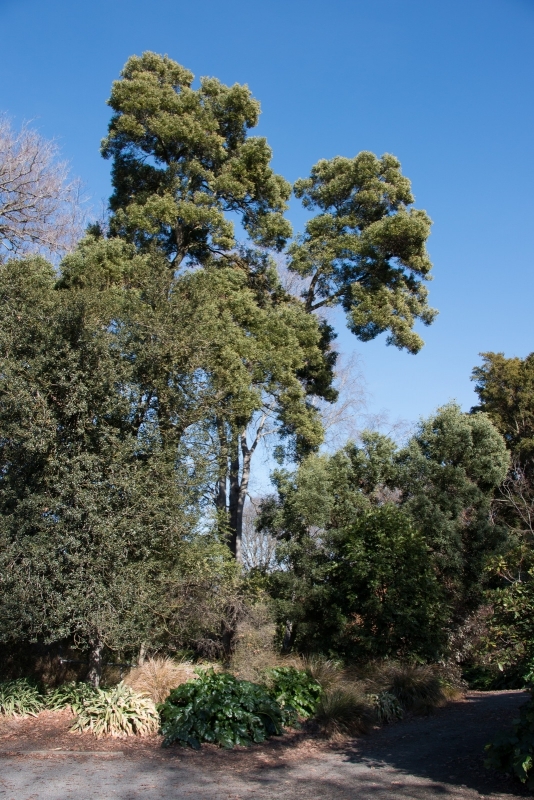 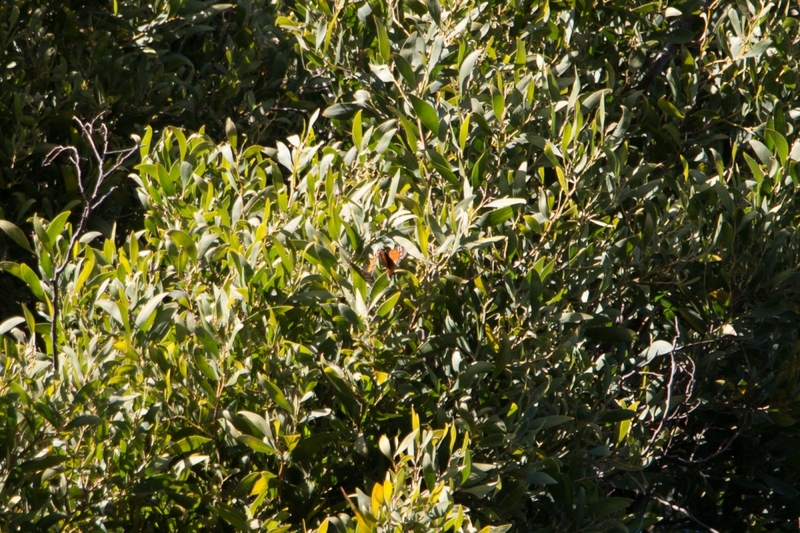 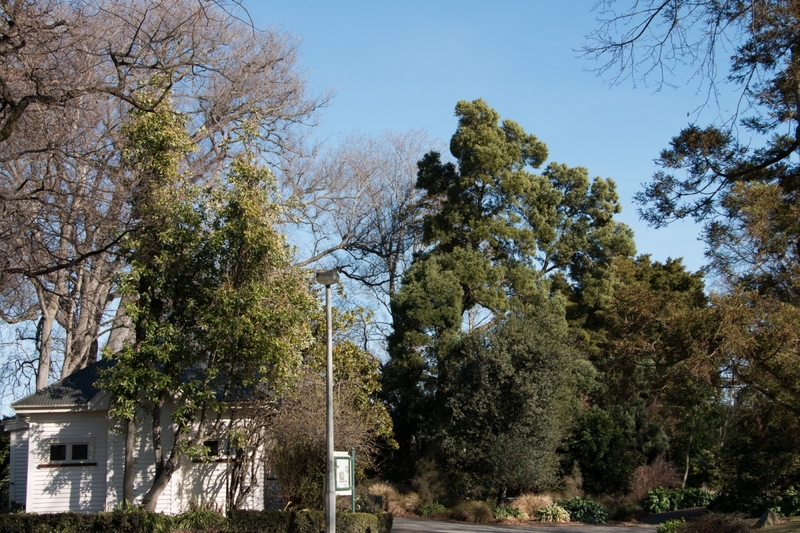 In Christchurch, New Zealand, the Monarchs remain in the city it seems, wintering over in a few parks spread around the city. 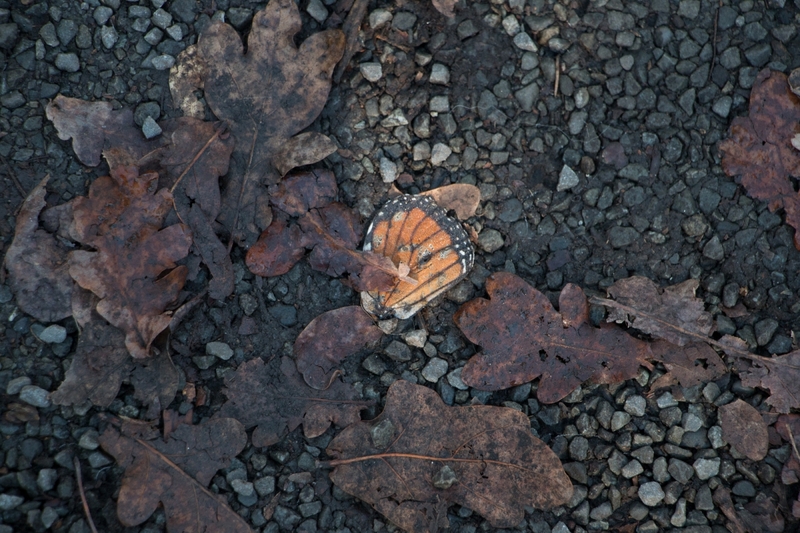 I set out to find some of them today, but alas a cold spell a few weeks ago had killed a lot of them. 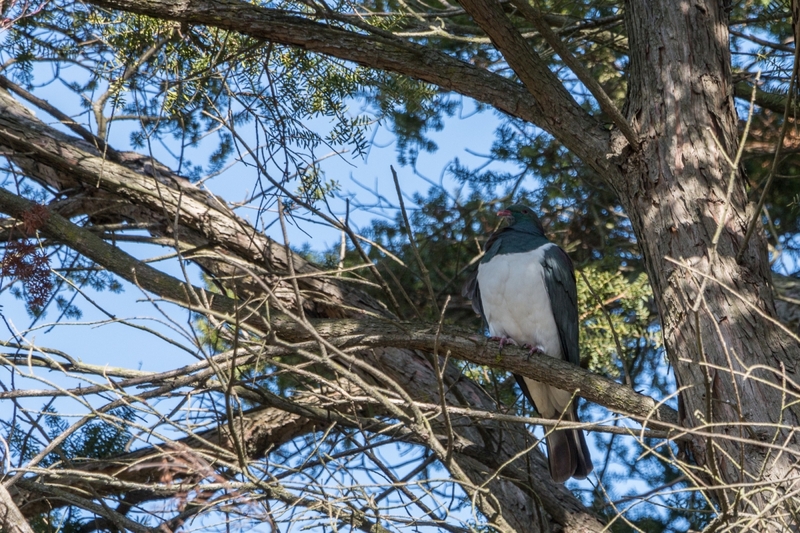 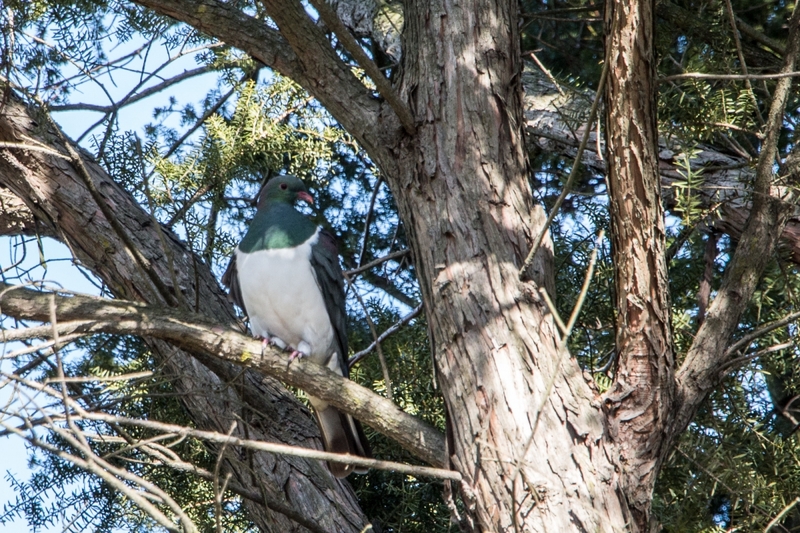 But I did find some at Abberley Park in St Albans, mostly high up in a tree sunning themselves in the Winter sun.